Books have the power to make us laugh, break our hearts and open our minds – often at the same time. 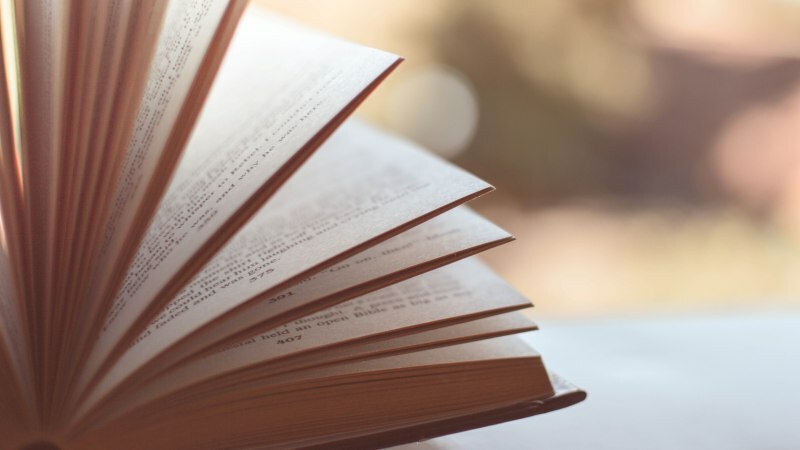 The books in this post achieve all of those things, but they have something else too; something special that elevates them above your average novel and inspires millions of people to love and worship them like a sacred text. Here are 10 cult books you need to read. It’s the end of the world as we know it and…erm, no-one feels fine. Cormac McCarthy’s Pulitzer Prize-winning post-apocalyptic tale follows a father and son as they travel the US, recently destroyed by an un-named event, to reach the warmer climes of the south. Along the way they encounter looters, cannibals and various other miscreants. 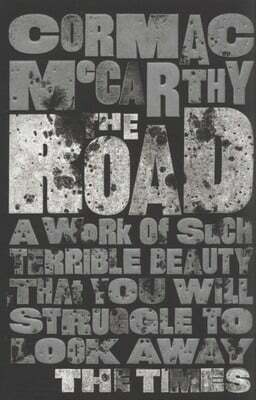 The Road is bleak but powerful, the kind of book that stays with you long after you’ve finished it. The surprisingly heartwarming relationship between the man and his boy (inspired by McCarthy’s own relationship with his son) provides a little light among the ashes too – but only a little. 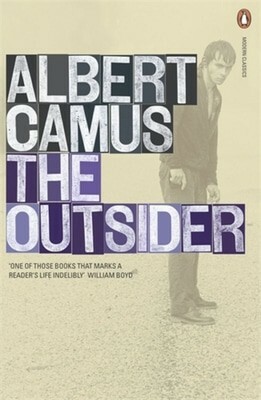 If you like your novels with a side helping of philosophy (or you just like to feel sophisticated), Albert Camus’ The Outsider is the book for you. It follows a chap named Meursault, who is so emotionally detached from the world that he spends his mother’s funeral smoking cigarettes and drinking coffee in front of her coffin. Later, he kills someone for no apparent reason and is put on trial. Of course, all of this is just a front for Camus’ belief that the world is meaningless and life is completely absurd. It’s not the most positive message as far as books go, but c’est la vie. The Outsider won’t be everyone’s cup of black coffee, but it’s a worth a read just to see how much Camus’ philosophy has influenced modern popular culture. It’ll make you look ultra sophisticated on the train too. AKA every teenager’s favourite book (until Harry Potter came along). 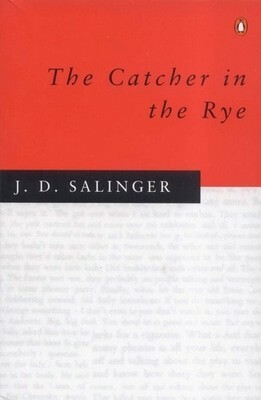 The Catcher in the Rye follows Holden Caulfield, a disillusioned teen who bunks off school to drink, fight, smoke and rage against the world and all of its phones (of which there are many) in Manhattan. Imagine Ferris Bueller’s Day Off with more debauchery and moaning and you’re not far off. Few books have managed to capture the angst and isolation of being a teenager as well as Salinger’s novel, which might explain why it still sells around a million copies every year. It’s a little dated but an essential read for anyone who has ever felt like the whole world is against them. Fun fact: by 1981, The Catcher in the Rye was the second most studied book in American high schools and the most banned. On the Road follows a bohemian trio as they embark on a road trip to find meaning and possibly even transcend the trappings of life… man. This mainly involves chatting up women, drinking a lot and listening to jazz. Calling On the Road influential is an understatement. 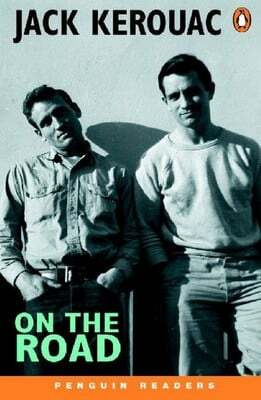 As well as inspiring countless novels and films, it encouraged a generation of youths to do away with their boring lives and go on exciting adventures into the unknown (although most of them were nowhere near as exciting as Kerouac’s). Legend has it that Kerouac wrote On the Road in three weeks in 1951, fuelled solely by coffee, pea soup and benzadrine. To help him with the novel’s stream of consciousness style, he fed 12 foot long rolls of paper into his typewriter so he wouldn’t have to replace them mid-flow. The final manuscript was 120 feet long and sold for $2.4 million (around £1.68 million) at auction. If you think you had a bad morning, spare a thought for Gregor Samsa. In The Metamorphosis, Franz Kafka’s legendary novella, poor old Gregor wakes up to find that he’s literally turned into a giant bug. It only gets worse from there, with Gregor’s family both disgusted and agitated by their new houseguest and Gregor himself struggling to adapt to life as an insect. Depending on who you ask, The Metamorphosis is either a heartbreaking comment on aging and mortality or a hilarious (but still quite bleak) comment on family and the trappings of everyday life. 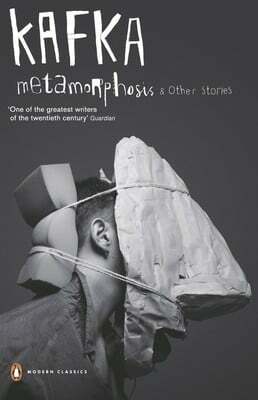 Either way, The Metamorphosis is one of the most popular short stories ever written and well worth your time. It has some quite useful advice if you happen to turn into a bug too. You’ve heard the phrase; now read the book that inspired it! Yossarian, the hero of Heller’s novel, is a World War 2 pilot who constantly tries to get out of combat missions with a series of absurd plots. His ultimate goal is be excused from war for being mentally unstable, a goal rendered impossible by Catch-22: mentally unstable soldiers can’t fly, but applying for exemption on the basis of madness shows concern for your safety and suggests you’re actually sane. 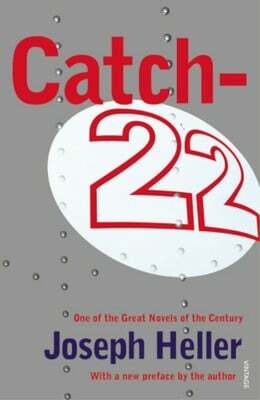 Catch-22 is hugely influential in a number of ways, from its non-chronological narrative (events are often described from numerous perspectives and revisited in numerous chapters) to its satirical take on the horrors of war. Hilarious, heartbreaking and ridiculous all at the same time, it’s no surprise Catch-22 was the UK’s 11th favourite book in a BBC poll. Dune tells the story of Paul Atreides, a prince whose family rules the planet Arrakis. 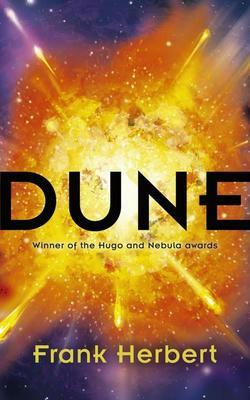 Arrakis is one of the universe’s most dangerous places but is highly contested due its supply of spice, an extremely valuable substance that enhances the mind’s capabilities. It’s a bit like Game of Thrones in space, with various factions warring for control of Arrakis. Unlike other sci-fi authors, Herbert didn’t care much for robots and technology; politics and relationships take centre stage in Dune. He did manage to work in one of sci-fi’s most infamous creatures, the sandworm, though. 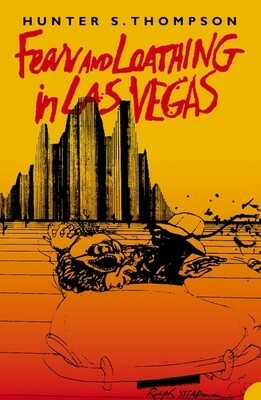 Hunter S Thompson’s semi-autobiographical novel follows a journalist named Raoul Duke and his attorney Dr. Gonzo as they travel to Sin City to report on a race, only to get distracted and take copious amounts of drugs instead. Fear and Loathing doesn’t have much of a plot, but the various scrapes, situations and full on hallucinations Duke and Gonzo experience are compelling and hilarious enough to get away with it. The book is widely interpreted as a comment on the death of 60s counterculture and the ugly side of American consumerism, but don’t get too hung up on that: as Thompson himself said, “buy the ticket, take the ride”. Nineteen Eighty-Four takes place in a totalitarian surveillance state overseen by Big Brother, a mythical leader who may or may not exist. Winston Smith is one of the residents of the state, although he secretly hates it. After meeting a woman named Julia who shares his opinion, Winston begins to dabble with the underground resistance… but soon learns that Big Brother doesn’t take too kindly to individual thought and subversion. 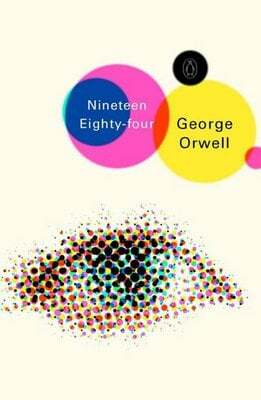 Orwell’s novel has been hugely influential in both the literary world and society itself, with the word Orwellian often used to describe overly invasive surveillance projects. It’s also the only novel to have two popular TV programmes named after it: Room 101 and, of course, Big Brother. We’re sure Orwell would be proud. Sci-fi generally falls into two categories: ultra grim dystopian horror or overly optimistic fantasy. The Hitchhiker’s Guide to the Galaxy falls somewhere between the two with a distinctly British take on life, the universe and everything. It all begins when Arthur Dent, a fairly regular chap, is rescued before the imminent destruction of the Earth (to make way for a bypass). In space, he meets countless unusual characters across countless unusual planets (quite a few of whom want to hurt him in some way), guided by the eponymous Hitchhiker’s Guide to The Galaxy. Oh, and he also discovers the meaning of life, the universe and everything. 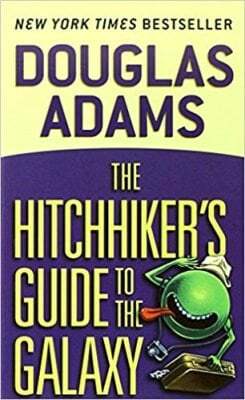 The Hitchhiker’s Guide to the Galaxy is the first part in Adams’ ‘trilogy in five parts’, although a sixth book written by Eoin Colfer was released in 2008. All are worth reading. You can find all of these books, plus many more, at amazing prices on the musicMagpie Store. Click below to buy books and save! ← What if Harry Potter had an iPhone? To celebrate the 20th anniversary, we found out!